I throw ‘pasta’ on the meal plan each week knowing it will likely end up with some homemade tomato and meat sauce, some gluten free noodles for our little gal and topped with my personal love language…cheese.This week pasta night also happened to be the night a precious and overpriced avocado was about to go from flawless velvety green to camouflaged mush. 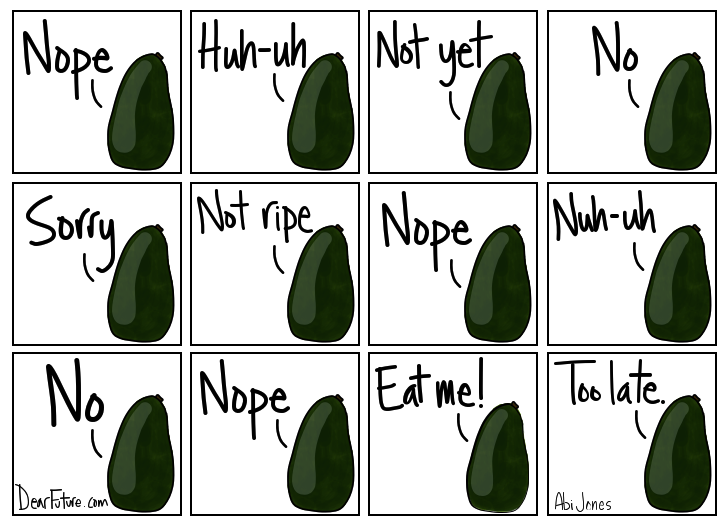 Why you gotta be so fickle avocado!? Pretending I was in some reality cooking show – I had to use the ingredients of my kitchen and this avocado to make one perfect stunning meal for my family all while the composting grim reaper loomed over my innocent avocado. So I did what everyone does, looked at seven Pinterest recipes, five googled recipes and ten food blogs for a recipe bearing likeness to what I had concocted in my brain….then I just made it how planned to from the beginning. Here it is, the EASIEST vegan, creamy, garlicky pasta sauce you could whip up for your whole family. 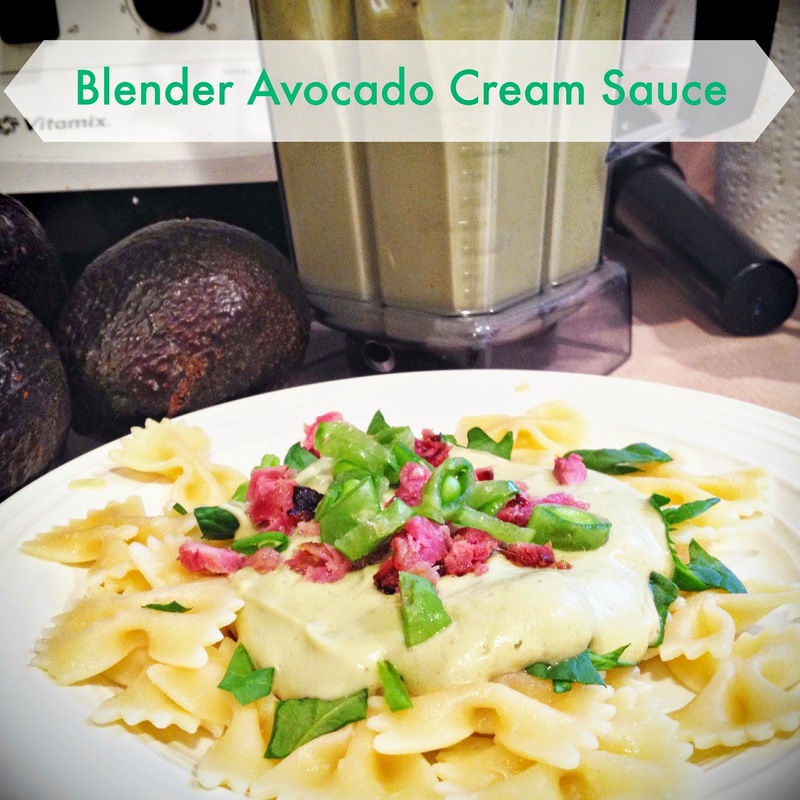 We had this sauce on pasta noodles with chopped spinach, chopped peas and farm-made ham. The saltiness of ham or bacon and the fresh crunch of the peas balances the denseness of this sauce nicely. 3. Spoon onto freshly cooked pasta and enjoy. *Makes about three cups of sauce, which is a LOT of sauce for something so rich, so you might wish to make a half batch if you are serving four or less people. For all our family favourite gluten and dairy free meals check out my Pinterest board. For tips on going gluten and dairy free, read here.